OilPro » Buying a Genset? These are some considerations. Home / Uncategorized / Buying a Genset? These are some considerations. Buying a Genset? These are some considerations. Matching a genset to power needs is critical to making the right purchasing decision. Prime or Standby power applications have different criteria. AC or DC or both required? Standby or motor starting duty required? 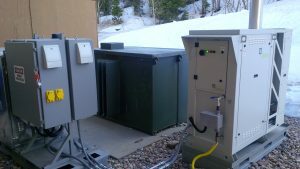 Grid tie-in required, or is this for site-micro-grid? Add these columns for total running and starting requirements. OilPro specializes in remote site medium power requirements where TEG and fuel cells become less economical but reciprocating units and commensurate maintenance are not justified. Typically this means we have better solutions in the 20 Watts to 15kW range in locations where fuel gas or Propane is available using our Stirling engine SmartGen. Call for more information at +1403 215-3373.